« Calling all Career Presenters! The STEM Club has been busy introducing computer programming to our 4th and 5th grade students after school. We very much appreciate our corporate sponsor, SC ENT, for their outstanding support and funding for this course. This is the second year Dr. Kosciusko has volunteered to lead the program after pioneering its construction last year and its evolution this year. This is the first year he has introduced elementary grade student teachers (who had completed the course last year) and they are taking turns learning to run the classroom. So far it has been a wonderful experience for our children. The student teachers get to see just how difficult is to lead and the students have been learning a great deal about the logic behind computer programming. Here is a sample of some of the work accomplished half way through the course, programmed by one of our STEM Club students. 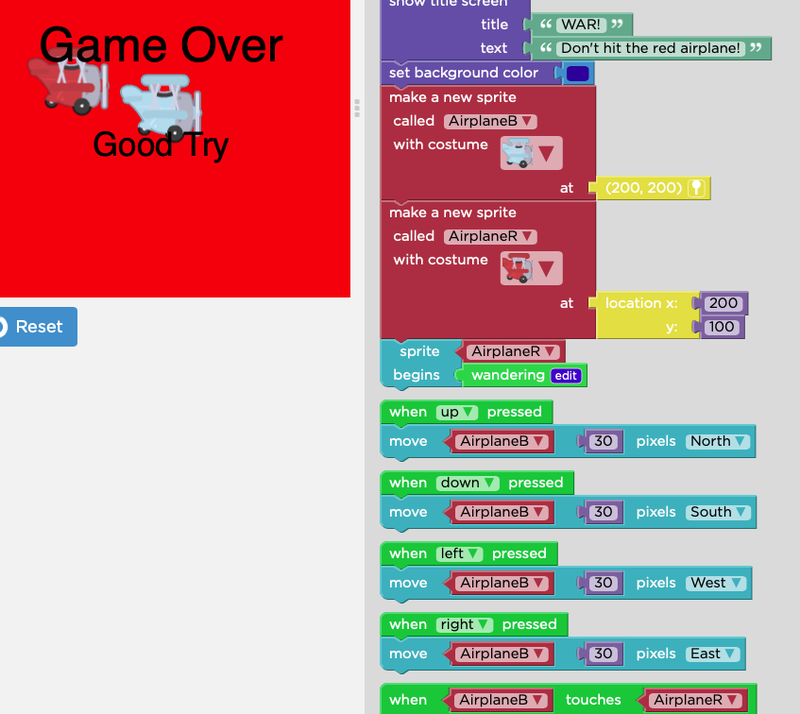 The game created by the student is on the left. The block coding is on the right. The word coding corresponding to the block coding can be seen below. There will be a final project competition for the final class in April.